On July 12th, Louisiana Drug Card Representative Jene’ Miller was proud to present a donation check and also do a hospital tour with Kim Coniker, Director at the Children’s Hospital of New Orleans, Louisiana. 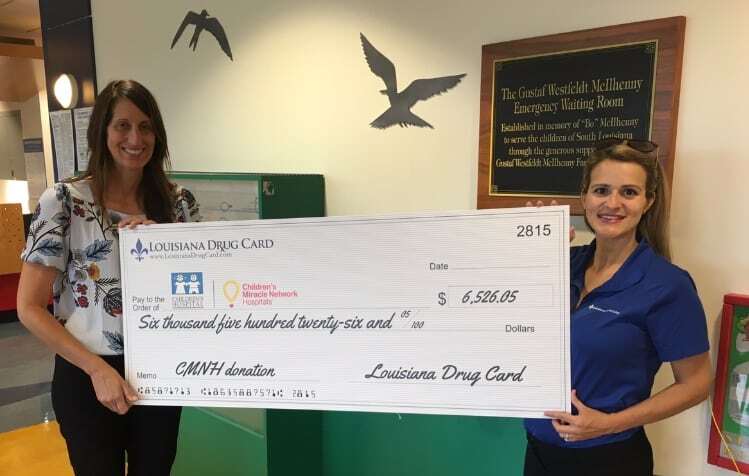 Louisiana Drug Card has raised over $6,500 for the Children’s Hospital of New Orleans! Since 2015, the United Networks of America partnership with Children’s Miracle Network Hospitals has raised over $2.4 million dollars for local children’s hospitals. Of this, $6,500 has been raised for Children’s Hospital of New Orleans.